Ever thought the answer to breaking the country's poverty cycle was as simple as improving basic education for females? Economist Dr Dawie Roodt explained the implications at last week's Ads24 Food for thought session. Last week, International Day of the Girl Child was celebrated across the globe, with the 2018 theme of ‘With her: A skilled girl force’. Fittingly, a highlight of last week’s Ads24 Food for Thought Cape Town 2018 session was when dialogue director Prof Nick Binedell introduced straight-talking economist Dr Dawie Roodt. The theme of International day of the girl child aims to raise awareness for the importance of education and employment of young females and how they can improve their own lives and the world. Roodt said to imagine what Cape Town looked like 100,000 years ago – it probably wasn’t much different, apart from the buildings and the fact that we were mostly hunter-gatherers, with mostly men doing the hunting and women doing the gathering. Then the business world boomed, with men going on to trade their findings, while women stayed at home to care for the family. So while acceptance of the gold standard changed our bartering ways, Roodt says one of the biggest changes in the past 100 years was the global economic breakthrough as a result of it becoming the norm to send girl children to school. How long you can send your girl children to school; that’s the strongest contraceptive in the world. 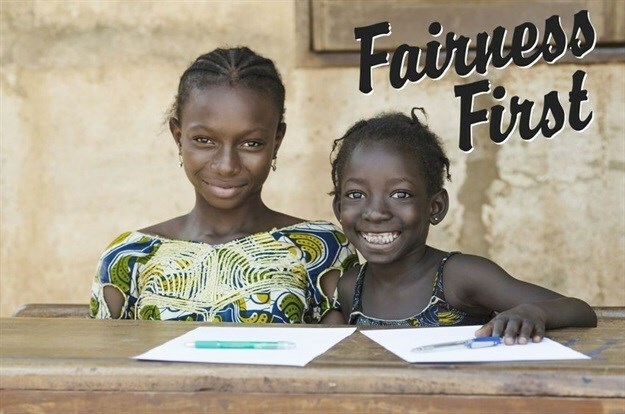 Those who go to school will likely send their own girl children to school, as they tend to be the primary parent in Africa, with the snowball effect that it then takes about three generations for them to enter the working industry. The caveat is that it’s only from the second generation onwards that they enter the professional job market. So don’t expect the first generation attending school to go on and become doctors. While the population continues to grow at about 2% every year, we are getting poorer on an average per capita base, especially if taken over the past four years. Most notably, the groups of small children and the elderly are growing – those who tend to be dependants – while the number of working people is declining. The more dependents you have, the less opportunity you have to become wealthy, with dependants defined as how many children in the household, how many elderly people living in the house, how well qualified the residents in the house are, and the unemployment rate within the house. But all hope is not lost. Roodt says the answer lies in realising that the future is female. In Fin24, Roodt shared it’s women, not BEE, that are key to breaking poverty cycle. The real answer to empowerment in South Africa is to create a system to give support where it matters. Our education system stinks in South Africa. The people that really need it… don’t get the support that they really need. It is poor girls that need our support. They are the most vulnerable. It doesn’t matter what colour they are. It’s not about race. It’s about poor people. We have to make sure they have proper skills, we have to make sure they get world-class skills development. Only then will they participate in the job market. Only then will society truly change, with the vicious cycle becoming a virtuous one. That’s a wrap on my coverage of Ads24’s Food for Thought 2018. Visit the Ads24 press office, and follow the Ads24 Twitter feed and #Ads24FFT2018 hashtag for the latest updates.